Sometimes walking out of the courthouse with a custody order isn’t the end of a long battle but the beginning of a new phase. If you and your ex have a bad relationship and she’s determined to squeeze you out of your kids’ lives, having primary physical custody gives her the means to do so. But she can’t do it legally if your court order gives you visitation. You have a few options for enforcing your rights, but you may need the help of an attorney. If you show up at your ex’s door to pick up your kids and she turns you away, you might think to call the police. You’d be within your rights to do so if you have a court order for visitation, but it might scare your kids to death, particularly if they’re young. Law enforcement usually has authority to enforce the terms of any court order, but the responding officer might just advise you to take the problem up with family court. If you think it might come to this the next time you try to exercise your visitation right, take a copy of your court order with you so you can show the police that you’re entitled to see your kids at that particular date and time. Depending on how badly your relationship with your ex has deteriorated, you might try mediation. A mediator is an unbiased third party who might be able to help the two of you push past your differences for the sake of your kids. Some states offer visitation enforcement programs and workshops through their court systems. You can call the court or visit your state’s website to find out if mediation or something similar may be available where you live. If all else fails, you can go back to court to file a motion asking the judge to fix the problem. In some states, you can request that the judge hold your ex in contempt of court for interfering with the visitation terms of your order. But if you’re successful, this might actually land her in jail, particularly if she has a long and persistent history of denying visitation. This would probably have a negative effect on your kids. Another option is to file a motion for enforcement without asking for a contempt charge. The judge might award you make-up time with your kids for the amount of time your ex denied you, order her to pay your attorney’s fees and court costs, or order her to attend parenting classes. If you decide to go back to court, spend some time documenting each instance of denied visitation. If you involve the police, get and save copies of the incident reports. Otherwise, take a friend or family member with you when you want to exercise your visitation rights so you have a witness as to what happens each time. Keep a datebook or diary in which you make note of each incident, complete with details. If you file a motion for contempt without asking for enforcement, the judge probably won’t be able to change your order’s custody terms; he only has the option of giving you what you asked for in your motion papers. But if you also ask for enforcement, you can request that the court transfer custody to you because of your ex’s behavior. If your existing custody order is vague -- it just says something like you get “reasonable visitation” -- this is very difficult to enforce because your ex can always claim that your attempts at visitation weren’t reasonable. You can ask the judge to modify this to a specific visitation schedule going forward. 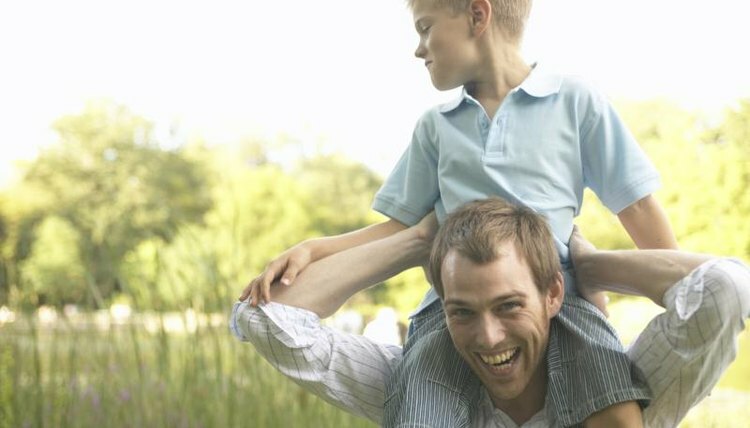 DADSdivorce: Violating Child Custody Orders -- Should You Call the Police? Bird, Beverly. "How to Enforce a Father's Visitation Rights." , https://legalbeagle.com/5896138-enforce-fathers-visitation-rights.html. Accessed 24 April 2019.